As part of my blogging on bow ties, there is now a bow ties in the wild category for those times I am out and come upon some bow ties. I think that bow ties will show up in some holiday advertisements. 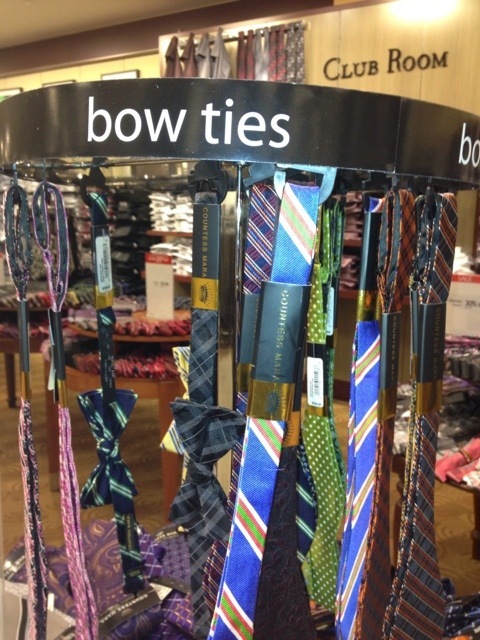 But for now here is a rack of bow ties.